Part of the wedding planning process involves finding someone that is going to be able to capture the entire day in the way that you want to remember it by. A wedding photographer is well trained in their expertise and they understand the importance of professional photography for your special day. However, not every wedding photographer is going to be the best for you as every person has a different wedding style and personality that requires a photographer that understands their style. Here are some tips for choosing the best wedding photographer. You should have an understanding of what the style of photography you would like for your wedding. Every wedding has a theme or style with it – whether it is something such as a country theme, black and white, formal, or a more laid back style that shows your goofy and outgoing lifestyle. By knowing what the type of photography you want to have you are going to have a better understanding of what to expect from your photographer and they will know what you want from them. Once you know the style you desire, ask around for some references of photographers that friends, family, and colleagues recommend. You can also go online and search for photographers, then look at samples of previous work they have done. See how their work compares to the type of photography you would like to have. After you have narrowed down your options to a few photographers after seeing their work, set up a meeting with them to get to know them in person. You will want a photographer that is going to be easy to get along with, be willing to flow with your wedding day and also is professional. You do not want a photographer who might show up late or act unprofessional on your wedding day. Once you have settled on someone, write up a contract that you both agree on, including the date and time they are needed, the pricing, and the types of photography that you desire. Keep in touch with your photographer for the whole time up until the day of your wedding to ensure they are still going to make it and that you are not left without a photographer on your wedding day. Your wedding is a day you want to remember and have excellent photographs that capture your day. Having a professional photographer that you are able to get along with and who understands your desires is going to make your day more hassle free as you create those long-lasting memories. Looking lovely and sophisticated on your wedding day is certainly one of the goals you have set. However, you might be in need of a few more tips to have that extra special bridal glow everyone has been talking about. Right around your wedding day, you should have some professional beauty treatments to stand out in the crowd. Having a manicure and pedicure will complement your dress, and getting your hair done in the morning will let you feel like a true princess. Professional makeup services can help your face look flawless for the big day. As you prepare to look your best, you may also consider getting your teeth whitened. Teeth whitening can help your smile pop, brightening your entire face, according to a teeth bleaching Austin company. You probably spent a decent amount of money on your wedding gown, and you want to look fabulous in it. You have probably spent time watching your diet and exercising, but if you fell a little short of your goal, there is still help. Instead of panicking on the day of the wedding, be prepared with the appropriate shape wear. Of course, you do not want to feel all stuffy, so try everything on with the dress before the wedding. Some dresses will look fine without the additional support. When you’re getting married the very next day, staying up with your friends and partying is quite tempting. However, this is a surefire way to not look your best. Not only could you have dark circles underneath your eyes, but consuming alcohol can dehydrate your skin and make you not feel well at all. Get a full night’s rest so you are refreshed for the morning. 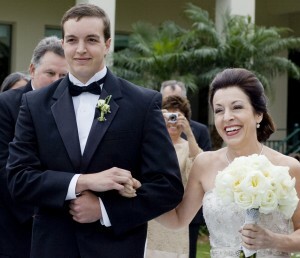 Walking down the aisle is a majorly special moment of the day. If you look as though you are in pain and agony, some of that joy will be taken away. Choose comfortable shoes. Chances are, no one is even going to see them underneath your gown. Even if you are a girl who frequently wears high heels, consider flats for the ceremony and reception. You want to make sure you are comfortable. During the day, you never know if your makeup might start to run or if your dress will get snagged on something. You should have an emergency bridal kit along with you, and you should also have extra makeup. Some brides decide to hire a hair and makeup person to stay with them throughout the day. Bridal beauty is definitely an important element of the wedding day. After all, you absolutely want to look your best. Following these tips and suggestions will help you accomplish that goal. Kandace Heller is a freelance writer from Orlando, Florida. In her free time Kandace enjoys reading, writing and going to the beach. When it comes to wedding styles, a bride has no shortage to choose from. The endless selection of dresses and hairstyles paired with enough jewelry options to outfit a Queen can have you feeling overwhelmed long before you walk down the aisle. If you’re searching for a look that’s both modest and elegant, check out these four wedding styles that keep it traditional and classy. If you want your guests to know your wedding style and therefore dress appropriately, remember their first impression is the wedding invite (and the Save the Date). Don’t email your Save the Date if you want the event to be Traditional and Classy – make sure to follow the traditional style of formatting your invitation and use high quality papers. 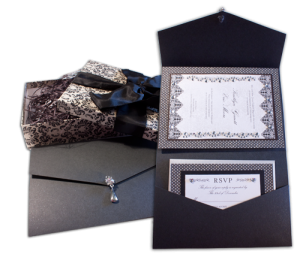 To truly make this your “own” consider using a custom couture wedding invitation company to design and print the invitations. A bride wearing white is the embodiment of grace, and there’s nothing more charming than a classic ball gown. Choose a strapless satin gown if you want to show of your shoulders without baring too much skin, or dazzle your groom by wearing a tulle gown that floats across the floor. If you’re looking for a style that’s truly glamorous, a ruffled dress featuring a long train will guarantee all eyes stay locked on you. Finally, for a traditional look with a bit of a modern twist, try an off-white dress with subtle beading on the bodice. A tiered veil is perfect for showing off an updo and complementing your facial features. Whether you choose a one-tiered veil with sheer lining that flows down your back or a two-tiered veil that just brushes your collarbone, you’re sure to be a showstopper. For a truly unique look, forgo the veil and use a chiffon scarf. Draping the scarf around your shoulders or incorporating it into your updo can add that perfect little touch of class you’re looking for. From pearl necklaces to chandelier earrings, antique jewelry brings a bit of vintage glamour to your entire outfit. It’s easy to go overboard on jewelry, but a few statement pieces will serve you best when you’re aiming for a traditional look. A pair of champagne rhinestone earrings will bring out the sparkle in your eyes and complement your smile, and an art deco hair clasp will have your bridesmaids gushing. Once you’ve got your outfit picked out, it’s time to focus on the food. Every wedding guest will enjoy snacking on traditional appetizers like egg rolls and stuffed mushrooms, but the real center of attention will be your wedding cake. You’ll likely want a tiered caked, but it’s up to you how many layers to use. Some cakes tower as high as seven tiers, while others are just as elegant with three. 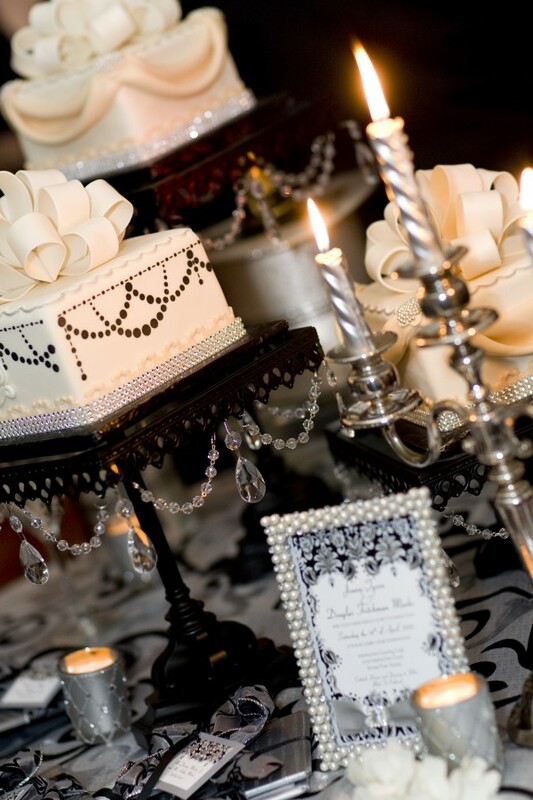 Either way, white is the color of choice for classic wedding cakes. Simple cakes that use fondant to mimic lace patterns are a favorite with brides who love a clean-cut look, while cakes using elaborate floral designs can really set your wedding apart in the minds of your guests. From her flowing tiered veil to her exquisite white ball gown, a traditional bride is truly a beautiful sight to behold. By recreating classic styles that brides all over the world have used for decades, you’re sure to make your special day into a dream come true. 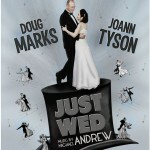 A lot of people think that organizing wedding is one of the most tedious and daunting tasks of all times. The truth is that the most difficult part of organizing a wedding is to look for a venue. Since wedding season is always on, the venue availability can become a major issue for many would-be couples. Apart from beaches and banquets, motels are becoming increasingly popular wedding venues among modern couples who don’t need to blow a significant amount of money so every detail could be “just perfect”. Motels are affordable and provide best bang for the buck when it comes to organizing an event, especially considering that some motels (like the one in Toowoomba) boast an award winning wedding venue. You can expect professionally managed staff and guidance if you are planning to organize your marriage in a motel. However, since motels are in high demand, make sure you get the booking done at least 3-6 months in advance. Make sure you go through all the terms and conditions the motel would give you for your wedding before taking any decisions. There can be a very high possibility that you might end up paying thousands of dollars if you don’t take a note of all the charges and fees being applied for the services provided. Ask as many questions as you like to make sure the marriage doesn’t end up being a burden on your bank account before it even starts. Some motels demand a 50% deposit at the time of booking, while some may ask for the same 10 days prior to the wedding. Every motel will have different payment schedules. Look for a place where the payment schedules matches your convenience. Make sure you’re able to make the payments on time as well, otherwise your advanced booking payment will be forfeited. Here you’ll need to have negotiate with the Sales and Marketing team. Ask them for a special rate they’re willing to provide for your guests at the motel. You can also ask for discounted rate for the wedding party. Try to do this at least 6 months prior to your wedding date to get good deals, because once the weeding season starts you may not get any opportunity to negotiate with them due to high demand and low availability. You should base your negotiation tactics on the fact that you will likely fill the whole venue. Also, please try and make it as easy for your guest as possible. Send them a wedding invitation with the map of the area of the wedding, and don’t be surprised if not all of your friends or family can make it, especially if your wedding is far from the hometown. And if you wish, you can cut the list of guests down yourself for a more intimate wedding. Most motels have connections with almost every service provider you will need for the most beautiful day of your life. Ask your motel staff if they’re willing to provide additional services such as florist, bands, DJs and so on, so you don’t have to spend too much time making preparations. They can handle everything on your behalf. Also, don’t forget to ask them about post-reception events as well. 4. Is There Another Event On The Same Day? Ask them if there’s any other event taking place on your marriage date. How do they plan to accommodate two events? Make sure the motel has all the necessary resources and enough space to accommodate two big events on one day. Plan out the timings well to prevent service clashes and delays. Marriage laws differ not just from country to country, but from state to state as well. Make sure you know the laws of the place you aim to get married at. For example, it would be easy to get married in Las Vegas where they allow drunk couples that just met to change their lives in an instant, but it is much harder in most other places. For example in the UK you would have to wait 7 days to meet the “residency requirements” before you can get married, and also wait 15 days. Keep these tips in mind when planning a motel wedding to make sure you do not have to face any kind of hassles and complications on your big day. Your guests should be treated well throughout the wedding, so your big day is always remembered as a memory to cherish. Mark is a father, a husband and a blogger. He enjoys spending time with his family, diving, traveling and chess. Find him on his Twitter – @TomMark84. A bachelorette party and reception are common accompaniments of any wedding. Whether you are the bride, a bridesmaid, or even a close friend or family member of the bride, you may want to consider offering to throw either the bachelorette party, or reception. Of course, if you do, you should also realize that you are taking on a large responsibility not only in terms of financing the event, but in planning it down to the last detail. Here are some fun ideas to keep in mind that are sure to make the process of planning such an event easier for you. Whether you are taking on the cost of the event on your own, or will be receiving some assistance from the bride’s family or other friends, the fact remains that you will want to set a strict budget ahead of time to ensure that you do not spend beyond your means. After all, these parties and receptions can be very affordable if you look in the right places. Decide now what you are willing to spend so that down the road you don’t find yourself overwhelmed with accessories you thought wouldn’t add up. If the bride herself is not planning these events, it is a good idea to consult with her during this time to ensure that the right people are invited to the reception or bachelorette party. After all, the last thing that you want is to accidentally invite somebody who should not have been, or to leave somebody important out! Plan together to decide how many would be the max amount, or if an open house event might be better for including lots of friends. The best way to start planning a party or reception is to decide on the location. Once you know an approximate number of guests that will be attending, you can get a better idea as to how large of a venue you may need. Furthermore, consider what kinds of features you want in the location. Are you looking for somewhere with a bar and food service? Would you prefer somewhere quaint? These are all questions to ask along the way when deciding a theme. All elements of the wedding are memorable and something for the guests to get excited about. 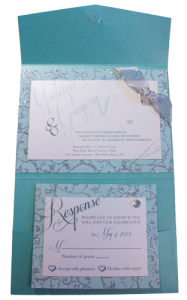 Whether you use online inviting such as Punchbowl or Evite or you go all out and have custom made invitations try to do something that matches or complements the bride’s wedding theme or her favorite things. For example, does she love “Breakfast at Tiffany’s”? Consider sending out invites and using phrases from the movie. Regardless of whether you are throwing a bachelorette party or reception, the fact remains that the people in attendance will expect to be entertained the entire time. Consider a photo booth rental so that people can capture their memories from the special night, or even book a live band to play. This way, everybody will be sure to have a great time at the party or reception. The key in planning one of these parties, is to make sure it is something people can come to celebrate the new life of the couple. It should be a place to make memories and share in their commitment. Guest poster is Brooke Chaplan at Fotoboyz Photobooth. Planning a wedding can be extremely stressful. Unfortunately, things seem to get even more chaotic on the day of the wedding. With so much to worry about, you might just find yourself looking less than amazing on your big day. Don’t ruin this once-in-a-lifetime occasion. To avoid feeling embarrassed every time you see yourself in the wedding album, here are some tips to look your best when you walk down the aisle. Handling wedding logistics over the course of several months can fry a person’s brain like breakfast bacon. All of that mental stress will surely affect your physical appearance. Without some quality shut-eye before the wedding date, you will look and feel like the walking undead. To prevent having unsightly bags and dark circles around your eyes, shoot for at least eight hours of undisturbed sleep the night before the wedding. Appearing before a huge crowd can be a very nerve-wracking thing. Get into the habit of working out regularly and eating a nutritious diet to fit perfectly into the dress of your dreams. When you look good, you will feel even better–and people will be able to see the difference. Sometimes diet and exercise is not enough to get you into tip top shape in time for the special event. In this case, keep those extra bits in control with seamless shape-wear. Virtually invisible to others, shape-wear will enhance your natural frame to give you curves in all the right places while keeping you tight and toned where it counts. If you have a form-fitting dress and aren’t quite where you need to be, shape-wear can make all the difference in the world. Getting married is definitely something to smile about. However, you might prefer to keep your lips pursed if your teeth are the color of golden honey. If you want to get the right kind of attention from your friends and family, consider whitening your teeth. There are many ways to transform those waxy yellows into pearly whites. Dental strips, whitening toothpastes and rinses, and visiting your local dentist for a whitening procedure are all ways to rejuvenate your smile. If make-up isn’t enough to cover up those sags and wrinkles, dermal fillers might be the way to go for smoother, fuller facial features. The process basically involves extracting fat from other areas of your body via liposuction then injecting it into areas that are a little bit flat. The lips and cheeks will see the most dramatic change from this safe and simple cosmetic procedure. 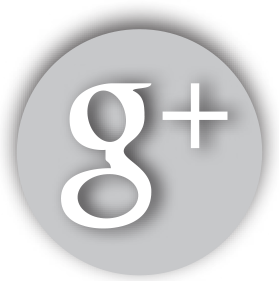 Guest Blogger Casey Haslem is a 25 year old writer. Her hobbies are reading, painting and pretending she knows how to write a book. She loves meeting people and making new friends. Writing opens up a whole world of new ideas and possibilities for her. If you have a wedding to attend and you are racking your brain to figure out a perfect gift that will be appreciated and helpful to the new couple, consider these options for great wedding gift ideas. When you give one of these wedding gifts, your gift will be remembered and used for years to come. When a new couple is starting out in life, they often have the essential home furnishings but are lacking on the items that make a home beautiful. Consider purchasing beautiful items for the couple’s new home, such as window treatments. Window treatments can make a home seem cozier and finished, not to mention keeping the sun and heat out of rooms in the middle of hot days. Sunburst Shutters window treatments offer many varieties of window treatments that would be perfect for any home. Even if a newly married couple is living in an apartment, tools are still a great choice for a helpful wedding gift. Outfitting a couple with a basic tool kit containing a hammer, screwdrivers, and other essentials will allow them to make small repairs with the correct tools. Long after the other wedding gifts are used, the tools will be brought out and used regularly. When they are first married, couples may struggle financially and need to cut costs. A gift of a membership to a local community center will be a welcome gift for anyone. This will allow the couple to do recreational activities together, such as swimming and working out. Some community centers also have activities planned as well, so newly married couples can enjoy activities without spending a great deal of money. Another helpful wedding gift is a set of quality cookware. If a couple is just starting out in life, or even if they are combining established households, cookware is a welcome addition to any kitchen. Surprise the happy couple with basics such as pots, fry pans, and bake ware and they will be able to cook delicious meals for years with your gift. When you cannot think of any other gift for the couple that has everything, consider giving a cash gift. The recipients can use this in any way they please, from paying off wedding bills, supplementing a vacation fund, or even just grocery money. While it is not a very personal gift, cash is always appreciated and helpful. The last few wedding years have been wrapped in burlap, covered in lace, accentuated with pearls and given an extra shine with mercury vases and rustic, shabby chic elegance. All very unique wedding themes, but where do we go from here? Are you going to be the couple that has a Star Wars themed wedding? Here comes the bride with a long velvet cape down the aisle, dramatic theme music playing in the background and light sabers as favors? What if your groom just can’t forget his childhood memories as a Superhero? Colored silk capes and face masks added to the dance floor or photo booth, and a grand Superhero-monogram in the center of the dance floor with flashy lightning strikes provided by the DJ while the crowd dances to upbeat music? And maybe, just maybe there will be a mystery to solve during the Trivia game at dinner or performance during the cocktail hour. And let your guests know in advance the super hero theme by having custom made invites that play a superhero song when the box is opened! 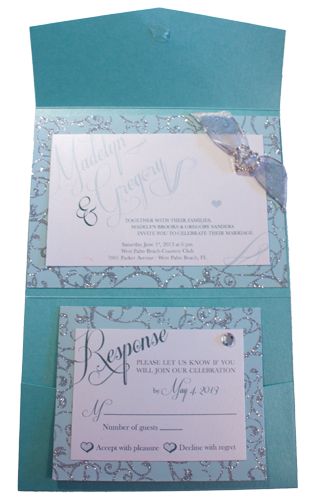 Music Box Invites can match ANY wedding theme and get your guests so excited to be invited. Robin Hood might add some charm to a romantic wedding and Harry Potter will make your event truly magical but the Lord of the Rings theme will make your wedding very dramatic. Best venue choice here would be a castle in the woods, a very long aisle covered in tulle and rings, tuxedos and cylinders for the men and big dresses for the women. The meal will definitely need to be a feast and maybe you will let your guests eat with their fingers? The good old “James Bond-Style” with all its elegance, glamour and attitude can just be the right pick for you. It’s classy, it’s sharp, it has everything an evening wedding should have, not too over the top with decorations but cocktails, a plated dinner, a band, a performance and some dance highlights complete this wedding. 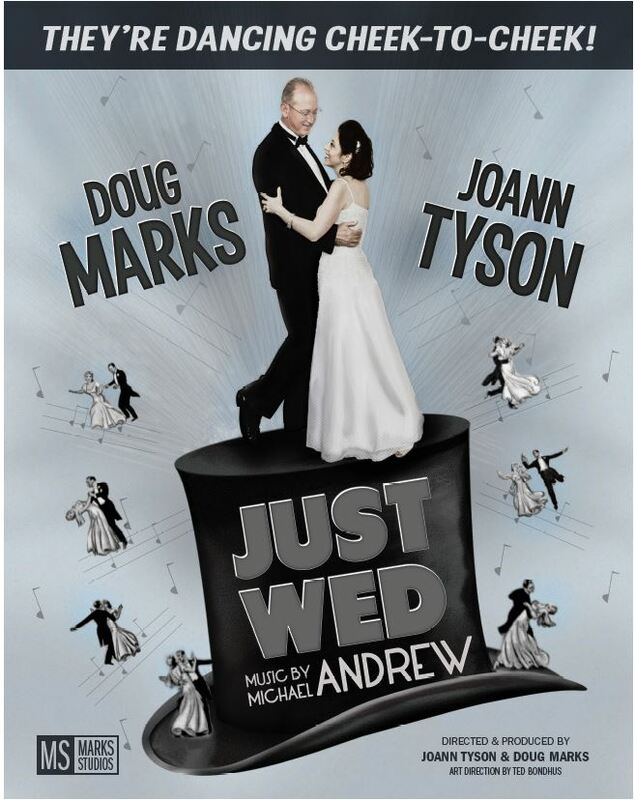 And then there is the Old Hollywood Themed Wedding. This one is still a very popular choice. You can go all out and add spectacular entertainment and keep the attire to impress. Women with fitted cocktail gowns and gloves, men in tuxedos and slick hair… Martini cocktails at the bar, photo booth opportunities with Marilyn Monroe and Dean Martin, guest appearance by Frank Sinatra and classical dance music during the plated dinner. Glitz and glamour can be incorporated with the right choice of linens, chargers and chair covers, tall flower centerpieces and butlers serving appetizers and champagne. What will 2014 bring us? Send us your ideas and we will select the Top 10 of your choices. Please contact sandy@strings-champagne.com to offer your selections. 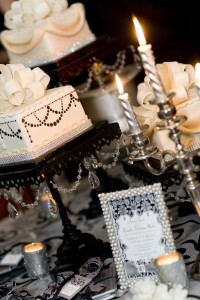 Decide the guest list FIRST – who do you want at this part will help decide the budget and therefore the theme. If you want a very large party, your theme might be very different than a small intimate dinner party. Pick a Theme – Now that you know who you really want there, choose your theme carefully. A party needs a theme; it could be as simple as a colour scheme, a decade or a more specific theme. The theme will set the whole tone to your party from decorations to dress code so take your time when choosing one so the people attending will enjoy it. Budget - A party can cost a lot of money if you don’t keep a close eye on your funds. Plan a budget and stick to it. Don’t get carried away with buying everything you see thinking it might come in handy or you just like the look of it. Organize your time - When planning a party is organize your time. With a lot of things to do make sure you have enough time before your day to get everything ready in time. Give yourself plenty of time to plan and extra time just in case a few mishaps happen along the way. 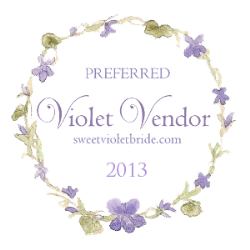 Choose the Venue- Now you have time and your budget set in place you can start looking for a venue. There are so many places to hold a great party. It could be in a large garden, a local hall or a club. The venue will be determined by the number of guests you want to have coming and your budget. Send Invites- Now you know the date, where it will be held and have your theme you need to make sure people can come. It’s best to send out your invites well in advance so people can keep the date clear – for most events this means 6-8 weeks before hand. 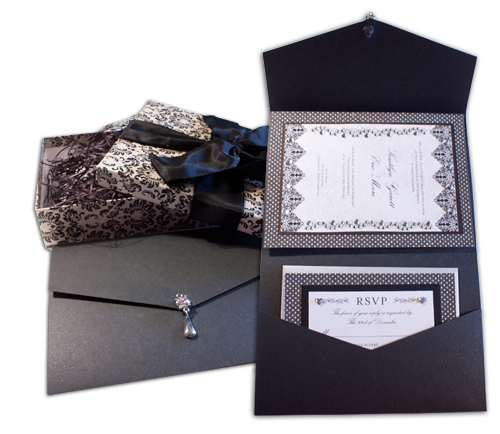 Make sure your invites match your theme as this will be the first glimpse your attendees will have of what you are planning. Make sure all of the information is clearly stated such as time, date and place but also if there are restrictions with parking and if you have a dress code these extras will need to be included. Invites for a casual party can be done online using a program such as evite or punchbowl but for a more elaborate event, consider custom MUSICAL invitations as a way to really WOW your guests. Music - Now you can get down to all the details of your party. Music is a big factor. Depending on your theme you may have specific music you want to have played. If you just want people to get up and dance you can create mixed CD’s that a DJ or the venue you are in can play for you over a sound system. If you really want your party to stand out, try to hire a live band to play your music if it is within your budget. Decorations - Decorations will be determined by the theme you have chosen for your party and the space you have to fill at your venue. If you are having a party inside the room, you may not need too much decorating however if you are having a garden party you may need to bring in decorations such as bunting, lighting, balloons, tables cloths etc to brighten up the space you are using. Always remember to keep in line with your theme. Food - At a party your guests will probably expect to be fed but it’s up to you whether you want to provide a sit down meal or have finger foods available. Food menus will depend on the time and season of your party but it’s always good to have sweet treats and finger foods so people can pick at them through the night such as edible fruit arrangements which also add colour to your food display. Entertainment - At a party you may want to have entertainment available for your guests. This could be in the form of a live band, magician, palm reader, balloon artist, caricaturist or comedian. If you want to have a party that people remember for a while it will be worth hiring some entertainment so you know they have enjoyed themselves. One more tip, if you really like the way things turned out for this party, keep a party notebook and add pictures of your set up, decor, recipes. Also note how much of each item you started with and what was left over. That really helps with planning the next event!